Bursting with flavor, our fresh sliced corned beef sandwich is just what you need for dinner tonight. 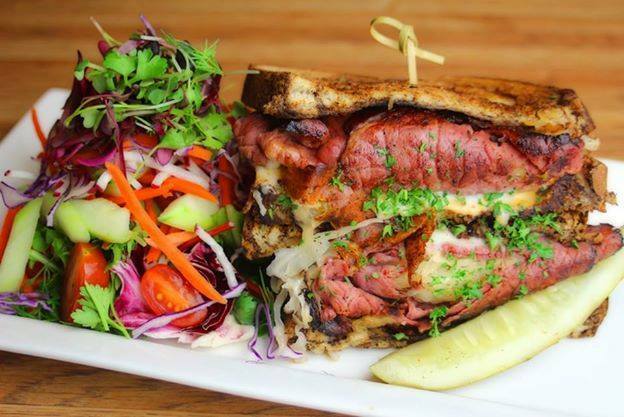 We toast our delicious rye to perfection, then pile on the meat, spicy sauerkraut, melted provolone, and creamy Thousand Island. Add in fresh crispy greens and veggies or a side of golden fries for an irresistible meal.